First published in 1967, this book looks at what the role of a headteacher should be, challenging the traditional views of the head and the authoritarian structure of schools. 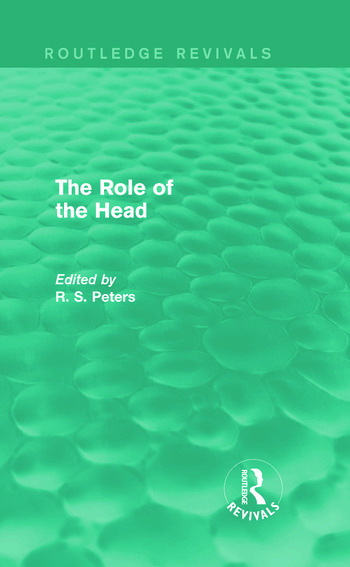 Contributors explore new concepts of the head’s role in school and authors include both theorists and headteachers coming from various backgrounds including those that are historical, philosophical, sociological, and practical. The book also benefits from some more down-to-earth musings by heads on the job. The collection as a whole offers a stimulating variety of views on a subject which is of importance to all teachers, as well as those concerned with management and decision making. Although first published some time ago, it explores issues that are ever present today.